With BIG BANG’s London dates for their Alive Galaxy Tour coming in just 2 weeks, kpopconcerts.com thought that there would be no better time than now to offer readers the opportunity to win a copy of the group’s special edition album, Still Alive. Carry on reading for more details on the competition! What song did all 5 members of Big Bang debut with? Who was considered the ‘6th member’ of Big Bang? Which member of Big Bang recently had solo promotions? Make sure you enter soon! This giveaway closes on the 15th December – Big Bang’s last concert date for London as part of the Alive Galaxy Tour. 1. This competition is open worldwide – it is not restricted to UK residents. 2. Entrants must have a valid postal address to which the prize can be sent to. 3. Entrants must submit a valid email address when answering the questions below in his/her comment. 4. Entrants must answer all 3 questions above correctly in order to be considered with a chance of winning. 5. Entries must be submitted through a comment on this article. Any entries submitted through Facebook, Twitter, or any other platform will not be considered. 6. After the winners have been chosen, the version (either Taeyang or G-Dragon) which they receive will be selected randomly. 7. This deadline for entries is the 15th December 2012, 12AM GMT. The winner will then be chosen at random and announced shortly afterwards, depending on the amount of entries. 8. Winners will be contacted via email immediately after being chosen. Failure to reply within 5 days will mean forfeiting the prize, in which case another winner will be chosen. 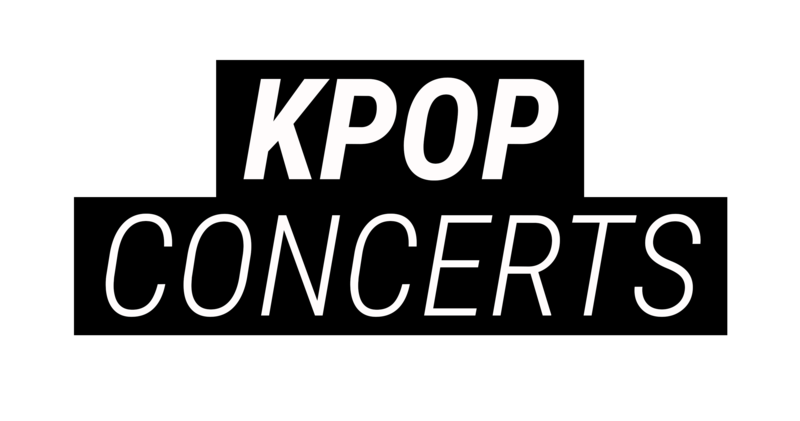 If you have any questions regarding the competition, please do not hesitate to contact us by emailing us at info@kpopconcerts.com. In other related news, who will be attending either Big Bang dates for London? Woops >.< mixed 1 and 2 *swaps them around* 😀 BigBang! FIGHTING~! >..< BIG BANG ALL THE WAY!! BigBangs debut song is La,la,la. G Dragon recently had solo promotions with one of a kind album. 1. What song did all 5 members of Big Bang debut with? 2. Who was considered the ’6th member’ of Big Bang? 3. Which member of Big Bang recently had solo promotions? Who was considered the ’6th member’ of Big Bang? 2. Who was considered the ’6th member’ of Big Bang? So-1/JANG HYUN SEUNG. 1) What song did all 5 members of Big Bang debut with? – LaLaLa in 2006 . 2) Who was considered the ’6th member’ of Big Bang? – Jang HyunSeung (장 현승) . – The leader, G Dragon (Kwon JiYong / 권 지용) . 2.) Jang Hyun Seung (so-1) current memeber of B2ST. 3.) G-Dragon with one of a kind. 1. The song was LaLaLa. 2. Hyunseung (now a B2ST member) was considered the 6th member of BigBang. 3. GDragon is the most recent member to have solo promotions. 1. La La La was Big Bang’s debut song. 2. Jang Hyun Seung is considered the 6th member of Big Bang. 3. G-Dragon recently had solo promotions. 1)What song did all 5 members of Big Bang debut with? The 6th member was Jang HyunSeung, who is now in B2st. 3) Which member of Big Bang recently had solo promotions? >>> G-Dragon with his album One of A Kind! 1.What song did all 5 members of Big Bang debut with? 2. Who was considered the ‘6th member’ of Big Bang? >So-1 aka Jang Hyun Seung. >G-Dragon, One of A Kind. 2 – Jang Hyun Seung, currently a member of B2ST. 1. The song all members of big bang debuted with was “lalala”. 2. Jang hyun seung of Beast is considered the 6th member of Big Bang. 3. The member that recently had solo promotions is G Dragon. 2. The ‘6th member’ of Big Bang was Jang Hyun Seung or So-1. Jang Hyun-seung, if you watch the BB documentary, it talks aaalll about it. He joined B2ST in the end, but nahh I’m a VIP, dunno much about them. Kwon Ji-yong aka G-Dragon (the pretty one) promoted his album ONE OF A KIND! My favourite tracks – One of a Kind (lol) and Crayon. I remember seeing him on Inkigayo with my husband TAEYANGGGGG!!!!!! WOOWOWOOWOOWOO! Yeah, as you can see, I am a HUUUUUUUUUUUUUUUUUUUUUGE BIGBANG FAN!!!!!!!!!!!! PLSPLSPLSPLSPLSPLSPLSPLSPLSPLS x100000000000 infinity pick me!! I WILL APPRECIATE THIS ALBUM WITH AAAALLLL MY PASSION! PUH-LEEEEEEEASE I BEG! Hook a girl up! 1.) All members of Big Bang debuted with the song LaLaLa. 2.) Jang Hyun Seung was considered Big Bang’s sixth member. -The song that ALL 5 members of Big Bang debuted with was “La La La” on August 19, 2006 at the Gymnastics Arena in Seoul Olympic Park during the YG Family 10th Year Concert. The person who was consider the “6th member” of Big Bang was Jang Hyunseung/So-1, who is now a member of BEAST. He was shown in a Big Bang documentary when they were selecting members of Big Bang. In the end, it was between Seungri/VI and Hyunseung/So-1. The member of Big Bang who recently had solo promotions was G-Dragon with “Crayon” and “One of A Kind”. They debuted with ‘La La La’. – What song did all 5 members of Big Bang debut with? – Who was considered the ’6th member’ of Big Bang? Jang Hyun Seung, named as SO-1 while he was training to become an official member of Big Bang. – Which member of Big Bang recently had solo promotions? G-Dragon (Kwon JiYong), with his album One of a Kind.